Cars from Pixar has a lot of surprises you might not have ever noticed… The first being the title. Route 66 was the original title, but it was realized this might lead to confusion with the 1960s TV series of the same name. To date, Cars is the longest Pixar animated film, with a running time of 1 hour 56 minutes. 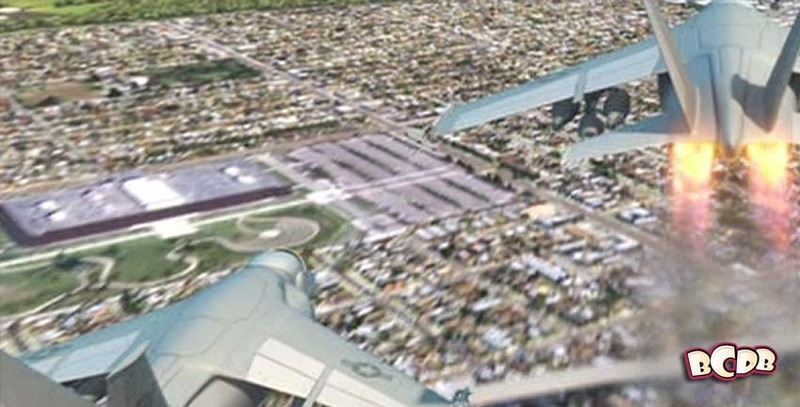 In Cars, we have a couple of A-113 sightings. The first is Mater’s license plate; this is all over the film! The second is the train that scares Lightning McQueen. The truck is said to be in the “Life is a Highway” sequence near the beginning of the film. The truck is gassing up at a Dinoco station, just as in Toy Story. The shot is very dark, and very hard to see, but we include it nonetheless. In the opening race, white car # 84 has an Apple logo on it’s hood. This is an obvious reference to Pixar owner Steve Jobs, and his day job over at the computer and phone manufacturing company. Lighting McQueen- as well as the other racers- all race on Lightyear tires. An obvious reference to Buzz, though based on the real-world tire manufacturer Goodyear. McQueens early nemesis in the film is The King. The King is sponsored by the oil company Dinoco, the same company that owns the gas station Woody and Buzz are stranded in for Toy Story. The Top Down Truck stop has a semi truck with an “Inc.” logo. The “I” is stylized just like Mr. Incredible’s “I” from his own logo. The Snowman from Knick Knack makes an appearance in Radiator Springs when Lightning McQueen is being given a transformation by the town cars. Pixar’s home town of Emeryville has a few appearances and references in Cars… first as a license plate in the Rust-Eze commercial. then as a setting shot for the Piston CUp. In fact, the race announcers make reference to the popularity of the race, it says that the whole town of Emeryville is closed for the race. Unfortunately for the real work, Emeryville is in the San Francisco bay area… and the Piston Cup was supposed to be in the Los Angeles area, some 600 miles south. The last reference is visual. You can see the Pixar studios themselves beneath the jets as they roar over the Piston Cup Race. 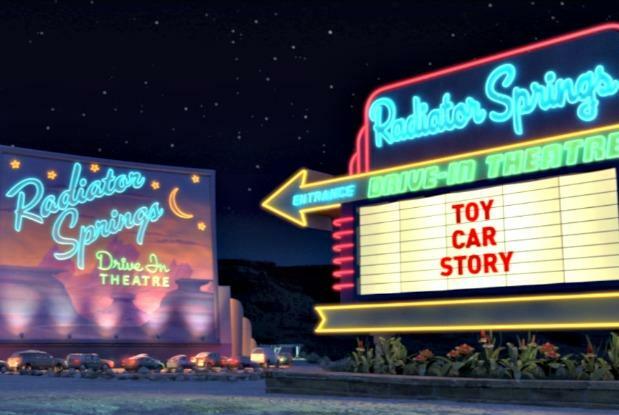 One last thing you might catch- the movie playing at the Radiator Springs Drive-In? “Toy Car Story”, of course! John Ratzenberger makes his first appearance as Mack the truck in this film. He is the semi that hauls Lighting McQueen around the country for his various races.